Brent is using Smore newsletters to spread the word online. 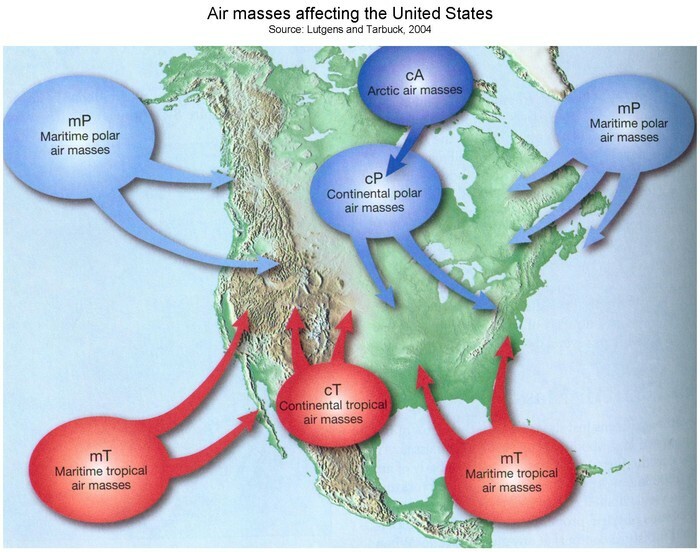 There is many types of air masses. There is a continental air mass. A continental air mass is dry and it's formed over land. 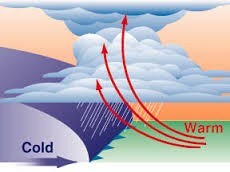 A maritime air mass is a wet air mass formed over water. A tropical air mass is a warm air mass thats formed near the equator. A polar air mass is formed over the poles and is cold. a continental tropical air mass is a dry and warm air mass. A continental polar is a dry and cold air mass. A maritime tropical is a wet warm air mass. A maritime polar is a wet cold air mass. Every air mass has to have three characteristics. The first is it must be big in size. It must be over 1,000 miles in size. The second is uniform and repeated make-up. Temperature and humidity must be the same. The third one is they must be physically put together. They have to be one big air mass moving together, they can't be separate little air masses. A front is the separation of two air masses in the same area trying to take that area. There is more than one type of fronts. The first one is a cold front and a cold front normally moves faster than a warm front. a Cold front takes over warm fronts. A stationary front that won't move move off of an area. Since the cold front is faster than the warm front they might merge and than an oncluded front forms. When that happens the ocluded front goes under the cold air and further pushes up the warm air.